Comment: I would like an estimate on cleaning on upholstery that has paint primer on them. they are custom pieces. Comment: Black and silver flecked armless chair and sofa. The painter primed my ceiling and didn't cover these items. Trying to salvage them before they dry. Comment: Need living room and hall cleaned. Some furniture moved like couch and a two chairs rest of furniture can stay. Comment: Sisters - move some furniture. Comment: All of our carpets will need cleaning. 2 smaller areas need rest retching. Water/Steam may be avoided, but we need recommendations for this. Comment: All of our carpets will need cleaning. 2 smaller areas need restretching. Water/Steam may be avoided, but we need recommendations for this. Sisters Carpet Cleaning Services are rated 4.93 out of 5 based on 102 reviews of 9 pros. 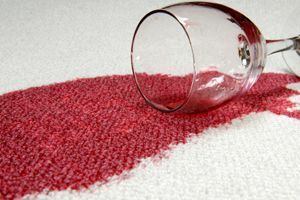 Not Looking for Carpet & Upholstery Cleaning Contractors in Sisters, OR?